© 2019 阿波藍のショールーム『阿波藍 あお』by ホワイトベースとくしま/ Awa Ai Showroom, "Awa Ai Ao" by White Base Tokushima. In Yoshino Honcho, the place “NPO Village Yoshino Hocho” between Hachiman Shrine and Tokushima City Fire Brigade Ihoku Branch was formerly police box. 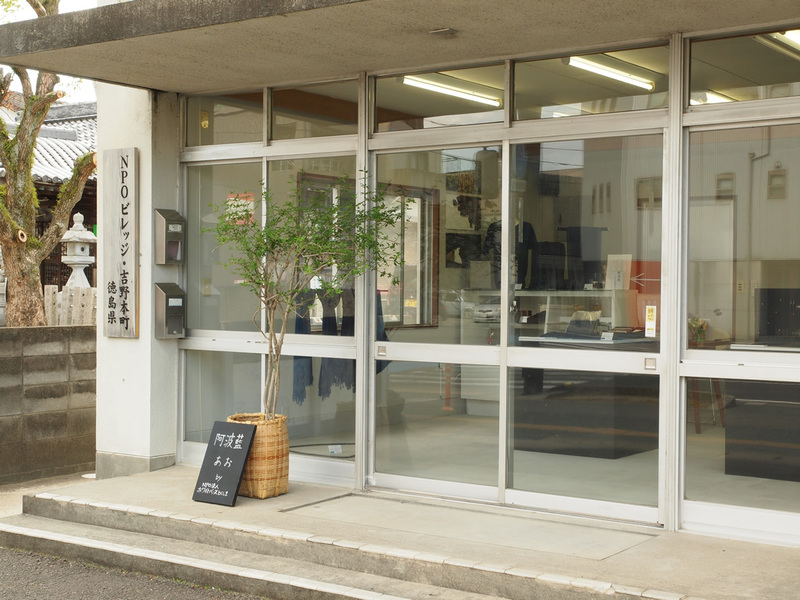 Now, NPO “White Base Tokushima” operates this Awa Ai (natural and traditional Indigo dye made in Tokushima) show room “Awa-Ai Ao” on the 1st floor (ground floor) of the building. “All the items you have are dyed with Awa Ai” You can find products and also other studios’ / factories’ products, using Awa Ai, and all the visitors can see, touch and purchase our products there.